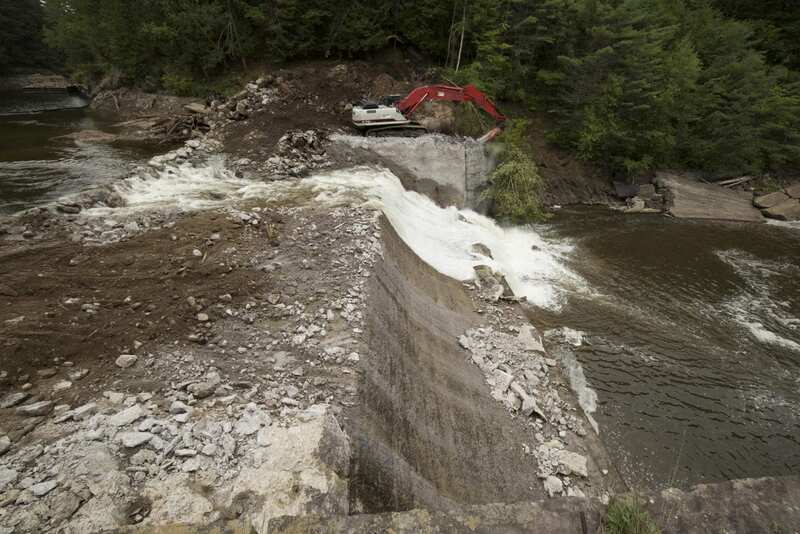 Crews work to remove the Rome Dam on the West Branch of the Ausable River on August 28, 2018. 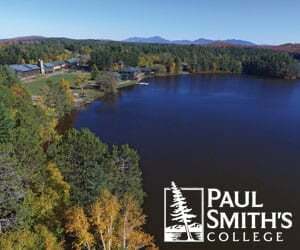 The dam is located upstream of Ausable Forks. 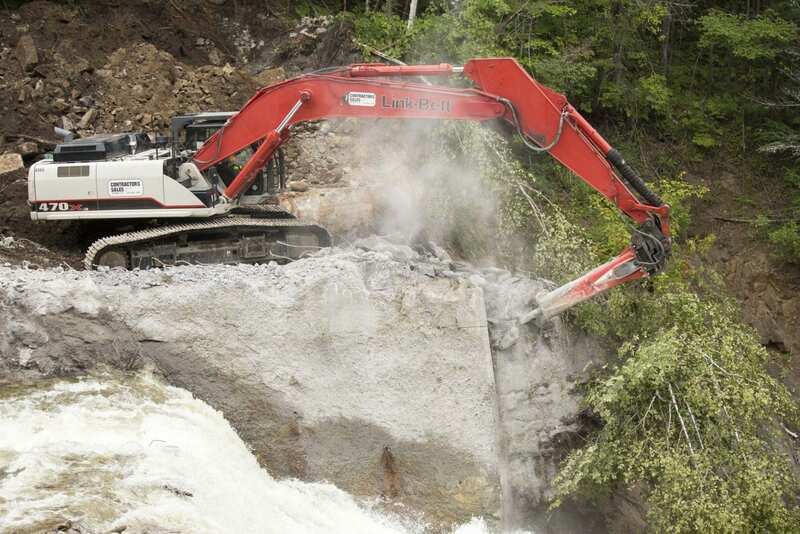 Crews began removing the structurally unsound Rome Dam on the West Branch of the Ausable River this week. 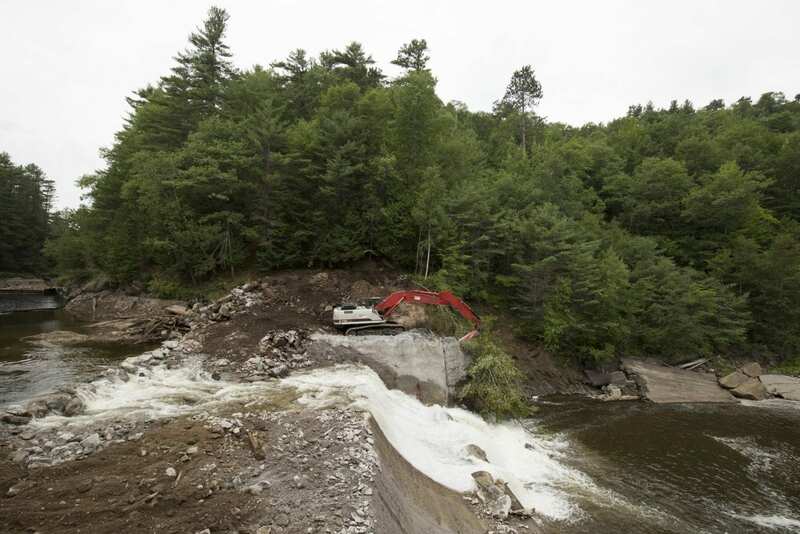 Located less than 2 miles upstream of Ausable Forks, the Jay Town Board voted in March of 2017 to remove the dam after an engineering study found that it posed a threat to residents downstream because of its potential to fail. The engineering study found that it was structurally unsound and would be especially vulnerable during a flood. 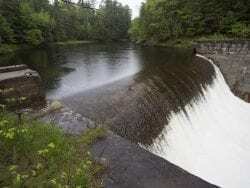 Kelley Tucker, executive director of the Ausable River Association, said the study found that consequences of not replacing the dam were serious. “There was the potential for loss of life,” Tucker said. 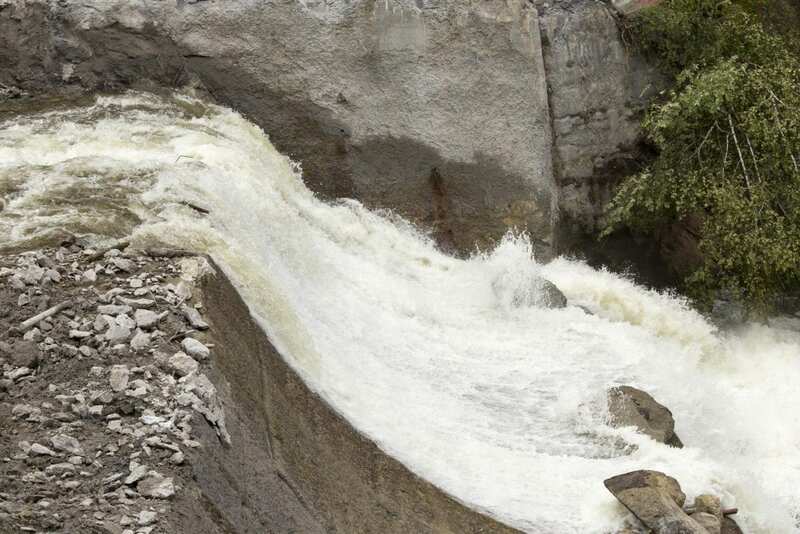 The Rome Dam was 38 feet tall and 103 feet across and made of concrete. The dam was originally built in the early 1890s and then rebuilt in the 1930s. 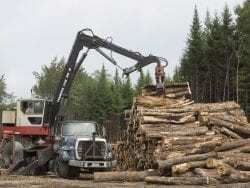 It provided water and mechanical power for the J&J Rogers Company pulp mill. It had not been maintained since 1971 when the Rogers Company ceased operation. 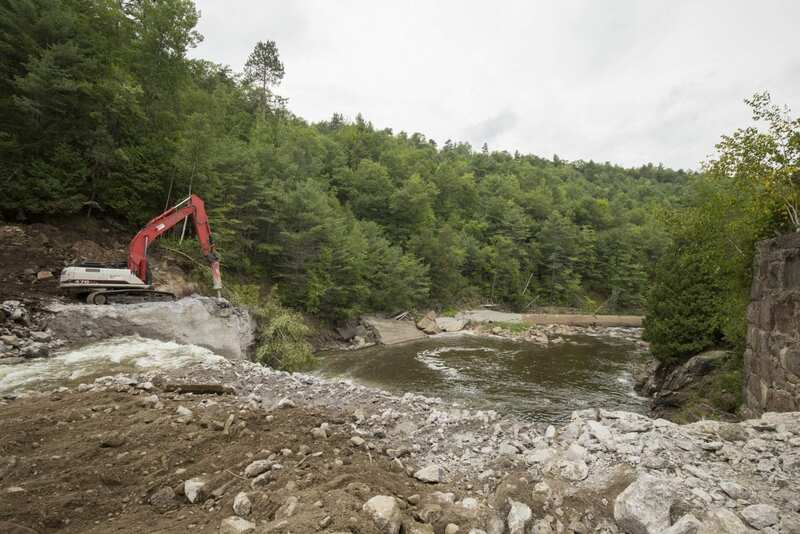 The dam assessment was a result of the town of Jay’s New York Rising Community Reconstruction Plan, which was undertaken in the years after Tropical Storm Irene. That storm took place in August 2011 and caused serious flooding, devastating communities located nearby. Milone and MacBroom, the firm that did the engineering study, estimated the cost of the dam removal to be $2.5 to $3 million. Work is expected to be completed by Nov. 15. “We really wanted to do the work this year. We didn’t want to risk going through another winter,” Tucker said. 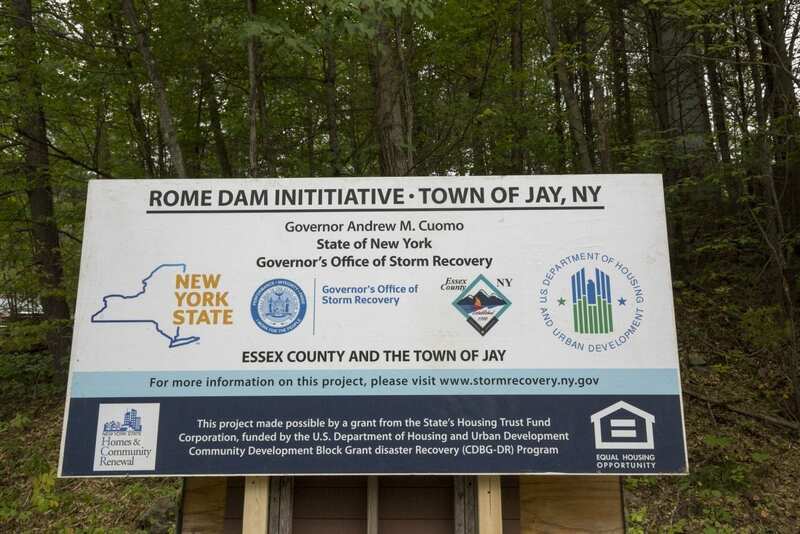 The cost of the Rome Dam project will be paid by federal funds awarded to the Town of Jay by the Governor’s Office of Storm Recovery, part of the Community Rising process designed to ensure greater flood resiliency after Tropical Storm Irene. 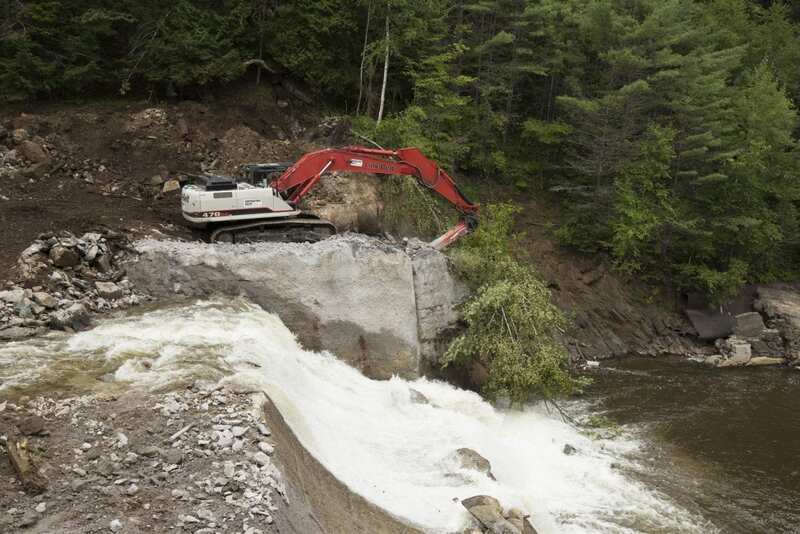 Rome Dam is one of three dam projects taking place on the West Branch of the Ausable River this summer and fall. 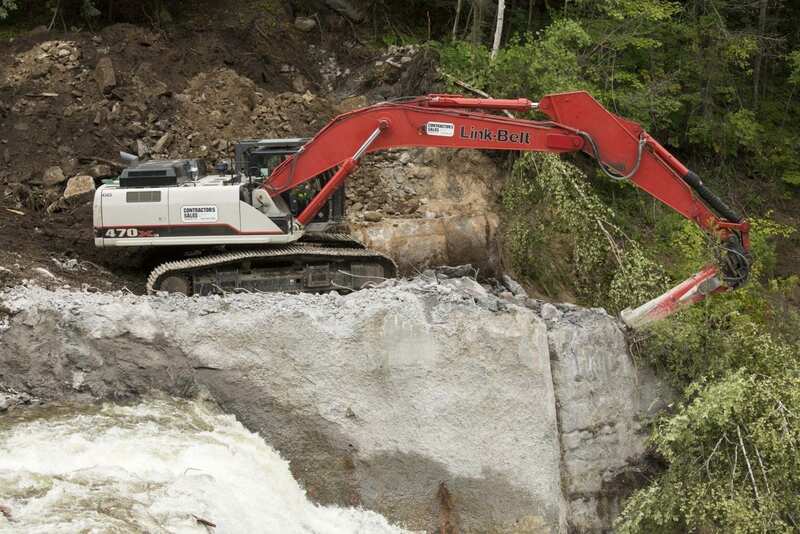 Crews recently removed the foundation for Quarry Dam, located four miles east of Lake Placid. The removal cost $35,000. Left, a photo of the Quarry Dam on the West Branch of the Ausable River. Right, a photo of the river after the dam was removed. Photos provided by Trout Unlimited. 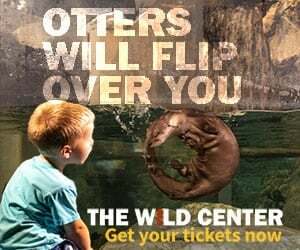 Trout Unlimited, Lake Champlain Basin Program, and U.S. 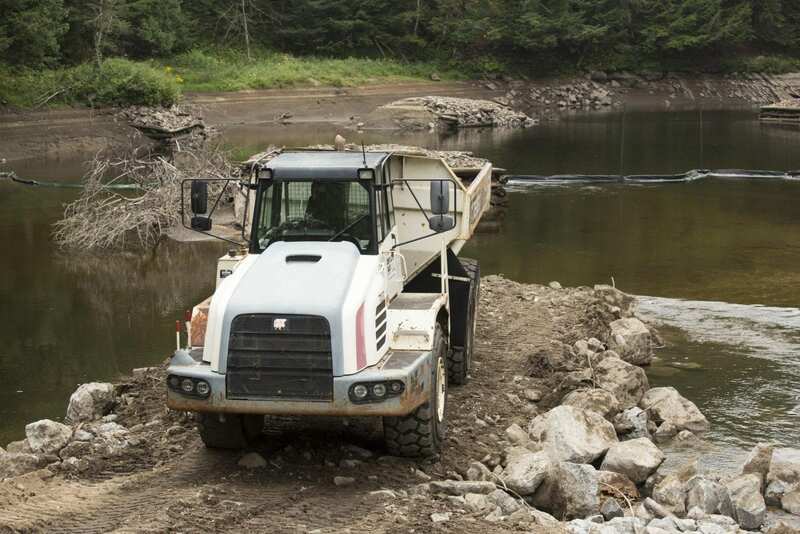 Fish and Wildlife Service paid for the removal of the dam that dates back to the late 19th century. 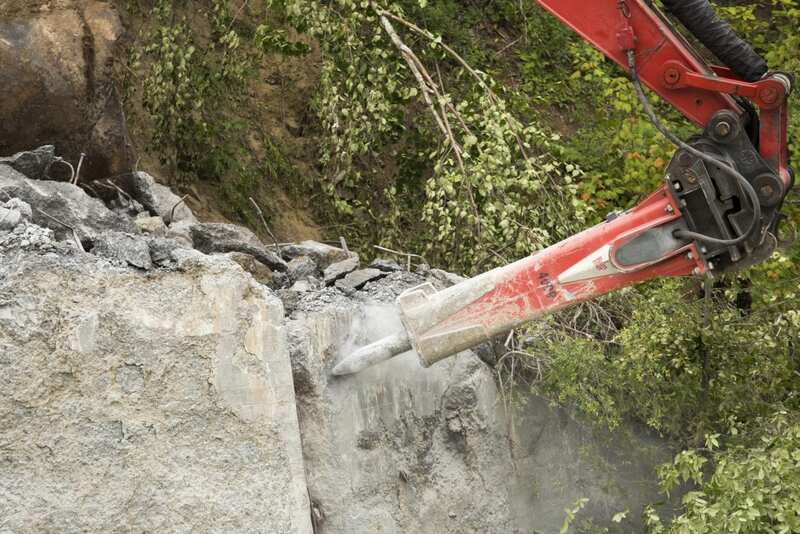 The Quarry Dam foundation, roughly 60 feet wide and a few feet high, was taken out for ecological reasons. 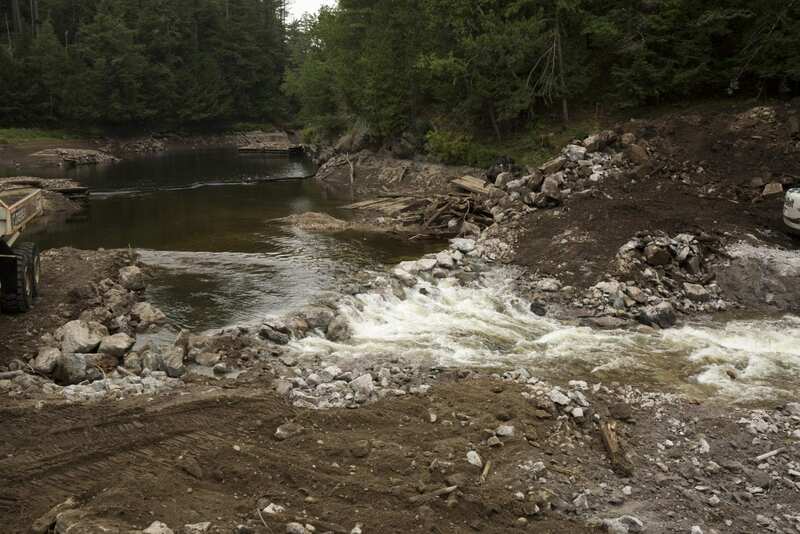 It’s removal will improve fish and inveterate passage, allow sediment to move freely downstream, and reduce stream temperatures, said Bill Wellman of Lake Champlain Trout Unlimited. 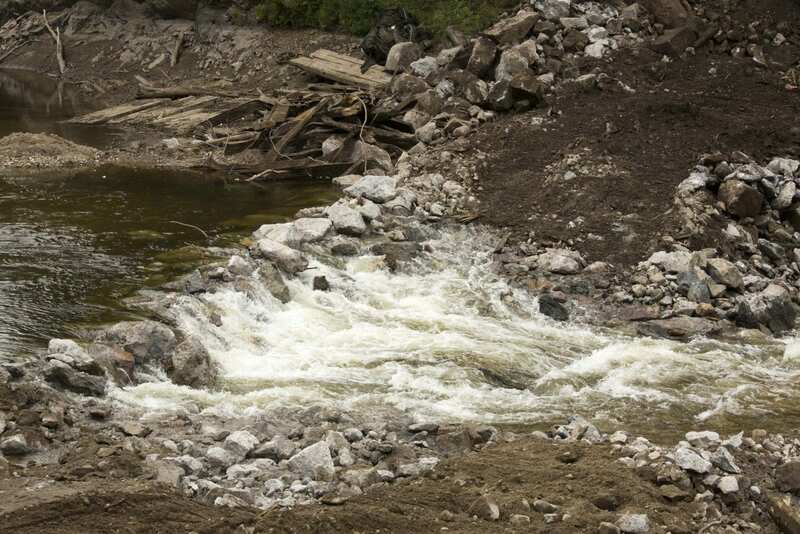 “It’s not a huge dam as you can tell by the picture, but it was enough to impound water and thus heat up water that was in back of it,” said Bill Wellman, of Trout Unlimited. Dr. Margaret Murphy of Integrated Aquatic Sciences LLC will monitor the long-term ecological effects of the Quarry dam removal. “It’s certainly aesthetically a much more lovely spot now,” Tucker said. The third dam getting work done is the Wilmington Dam, which is having its gate replaced. Tucker said the gate was undersized and is being replaced with a larger one to allow them to better manage their sediment flow. 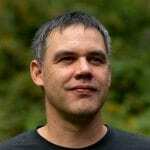 That work is expected to continue into the fall.